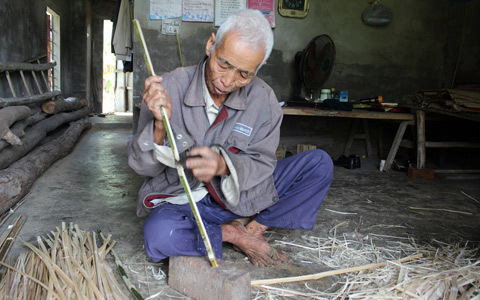 It's the pitiful plight of 79 years-old man Huynh Tam living in Binh Duong Commune of Thang Binh District with his 78 years-old ill wife Dang Thi Huong and mentally ill son Huynh Van Ba born in 1975. 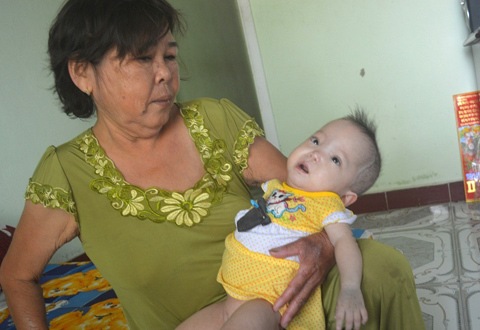 The image of old woman Nguyen Thi Suc (group 7, Vinh Dong Village, Binh Tri Commune), trying to feed her nine children with mental illness, congenital deaf and dumb makes everyone move to tears. Despite of being nurtured with good care at the provincial orphanage, those unlucky children is always longing for happy home.